Oxford Images of World War 1 invites volunteers age 16-15 to turn the clock back 100 years and imagine what life was like for young people in the city and county during the Great War. The outcome will lead to a major outdoor photographic exhibition at the Oxford Castle Quarter in May 2016. Saturday 7th November 2015 marked the start of our journey on this exciting project. Falling on the same weekend as Remembrance Sunday this felt like an appropriate starting point for reflecting on the past. We had a great panel of speakers who kindly offered their knowledge and expertise to the project. Lots of fascinating stories about life in World War 1 Oxford were discussed with local historian Dr Malcolm Graham. Malcolm also explained how Oxford literally became a ‘Garrison Town’ during this time. Military historian Stephen Barker presented some poignant accounts of Oxfordshire soldiers through personal artefacts, diaries and photographs – all very powerful stuff. Dr Jane Potter helped illuminate the story of three Oxford women who recorded and reflected their WW1 experiences through poetry. Thanks also to Dr Adrian Gregory, Director of Oxford University’s Globalising and Localising the Great War project, who helped us picture what life was like in Britain in 1914. We couldn’t have asked for a better start to our project! Over the course of the next few months, under the guidance of heritage professionals, our volunteers will continue to explore these themes in local archives, museums and online collections. Their mission will be to interpret the story of young people living in these times through photography and text. The creative choice will be theirs to pursue and develop and mentoring sessions with professionals will help guide their work. In 2016 we will run training sessions on stills photography and exhibitions to arm ourselves with tools to publicly present our work to a professional standard. Finally thank you to the Heritage Lottery Fund grant who have given us this opportunity to introduce a new generation to this aspect of wartime history, and to keep the legacy, memory and significance of the Great War alive for the younger generation. Oxford Images of World War 1 is organized by Fete Day Ltd and hosted by the Oxford Castle Quarter. If you are interested in getting involved in the project as a volunteer, a mentor or would just like to find out more please contact Ameneh Enayat, fetedaycontact@gmail.com. 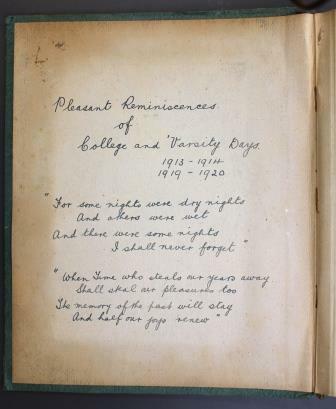 On the inside of his scrapbook, Norman Sutton writes: “Pleasant Reminiscences of College and ‘Varsity Days 1913-1914, 1919-1920”. 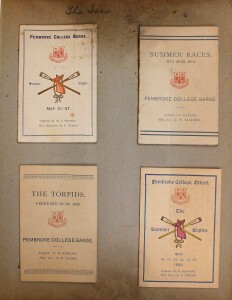 One page in the album has “The Isis” written across at the top and pasted on the page are a set of charts of the Eights (lists of the boats that took part in the annual intercollegiate rowing regatta). 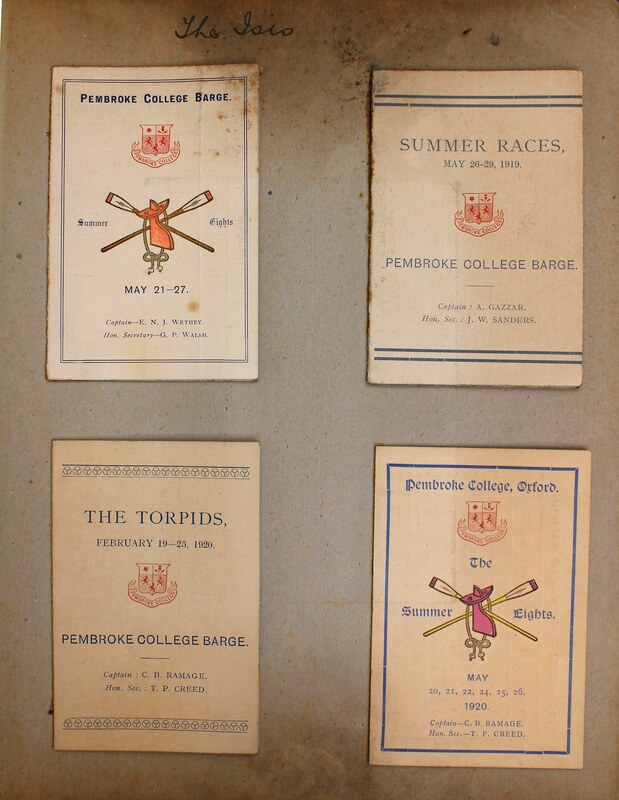 There are three charts for the summer races, one for each of Sutton’s undergraduate years: 1914, 1919, 1920. The dates offer an indication of something that was typical for the time. Like many other young men and women, Norman Sutton left Oxford to serve in the War. He was fortunate to survive and returned to complete his studies. We can get glimpses of his Oxford days through his scrapbook and guess what life was like in Oxford at the time, both before and after the War. What we cannot see here, however, is what life was like in Oxford while he was away. What happened here during the War? 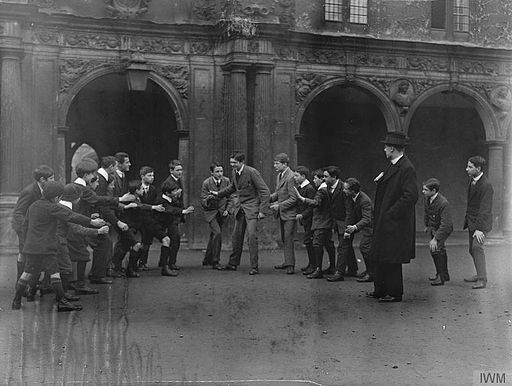 Oxford at War is a project set up to fill in the gaps left by resources like Norman Sotton’s album and make it easier to find out about Oxford during the First World War. The project collects and makes available information and material that relate to Oxford, the city, the University, and the people, during the War. It uses a model developed in previous projects where anyone who has stories, pictures, letters, or other material is invited to share it through a dedicated platform. The Oxford at War platform (http://oxfordatwar.uk) allows users to type in or upload text, add digital pictures, audio and video, or simply link to material they already have online. Material can then be explored by anyone who visits the site http://oxfordatwar.uk. The Oxford at War project also runs and takes part in events and activities to collect and disseminate information about Oxford during the War, such as the Remembering the Great War collection and digitisation event at the Museum of History of Science (26 September 2015) and the Wikipedia World War 1 edit-a-thon (10 November 2015). The project is part of the University’s First World War Centenary commemorations and activities, supported by the Van Houten Bequest. 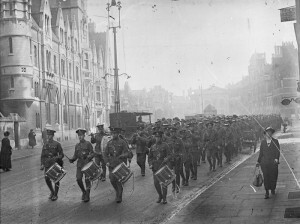 More information about related resources and activities can be found through the University WW1 Centenary page http://www.ox.ac.uk/world-war-1. If you have something to share but are unsure how to add it to the Oxford at War platform, need help with creating digital copies of your material, want to know about future events and activities or want more information about any aspect of the project or the platform, please contact the Oxford at War team at ww1collections@it.ox.ac.uk.